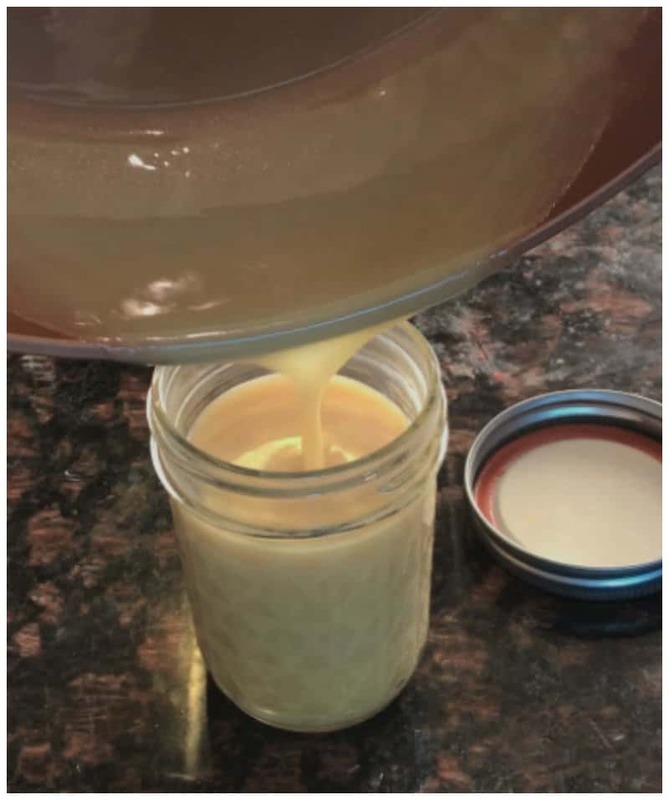 What if I told you that you could make a delicious Sugar Free Caramel Sauce that is absolutely amazing?!! Would you believe me? I tend not to believe keto dessert recipes because I almost always get disappointed with the end result. I'm extremely picky so when I tell you I have a good caramel recipe, believe me! I do! Let me show you how to make Sugar Free Caramel! The easiest way to remember how to make a sugar free caramel sauce equal amounts of heavy cream and butter along with a sweetener of your choice. It's really only 3 ingredients needed to make Sugar Free Caramel sauce but I also like the taste of vanilla so I always add that too. In a medium-size frying pan over medium heat, melt the butter and Monkfruit sweetener together until the mixture starts to bubble up. Slowly add the heavy cream while whisking the ingredients. The mixture will bubble up a bit but will go back down after all the cream has been added. Keep whisking the ingredients for another 4 to 5 minutes until the sauce turns a nice caramel color and thickens up. It will nearly double in size when it starts to boil. Turn off the heat and continue whisking the mixture until it stops bubbling. Pour the mixture in a pint size mason jar and allow it to cool at room temperature. What is Sugar Free Caramel? It's a sauce recipe that is made up of heavy cream, butter and sweetener. It's cooked to a temperature that allows it to thicken into a beautiful sweet sauce. You can use it to drizzle on your favorite drinks or dessert recipes. Where to Buy Sugar Free Caramel Syrup? You can purchase Sugar Free Caramel Syrup on Amazon or at your local grocery store. Even though this recipe is a sauce instead of a syrup recipe, it can easily by reheated and used as a syrup for pancakes and waffles too! It's pretty amazing! Where to Buy Sugar Free Caramel Sauce? No need to buy the sauce when you have this recipe! Does Sugar Free Caramel Sauce have Carbs? When you use a sugar free substitute like Monkfruit in this recipe, the carbs are minimal. 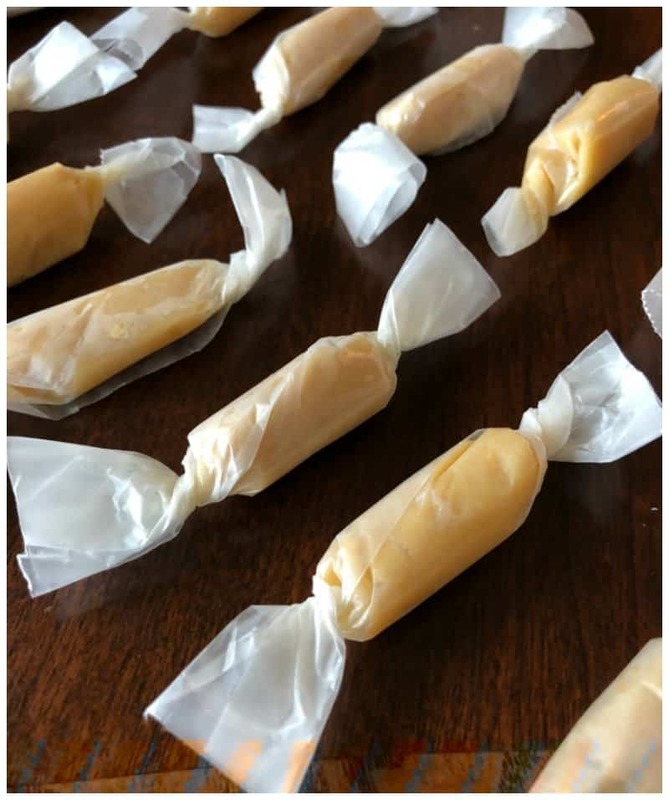 Do you have a Sugar Free Caramel Candy Recipe? Yes, we also use a very similar recipe to this to make sugar free caramel candies for the holidays! What are the Nutrition Facts for Sugar Free Caramel? How to Store Sugar Free Caramel Sauce? You can store the sauce in the refrigerator for up to 4 months. Next, we made Keto Caramels!! The recipe is similar but with a rare ingredient that turns them into chewy caramels!! Look at how they came out! Head over here to see How to Make Keto Caramels.